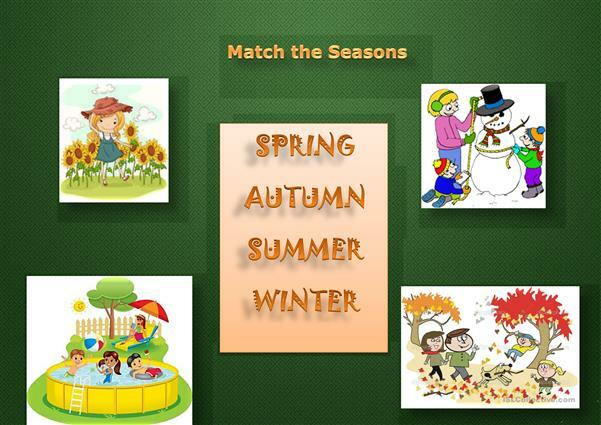 it´s a simple game of matching pictures with words, I attach 2 more worksheets , well I mean flascards as the same of first, so pupils repeat several times the season words.I think it´s useful for kindergarten and elementary school where students must study long vocabulary lists,. This type of flascards makes easier and funnier the way of teaching and learning new words. 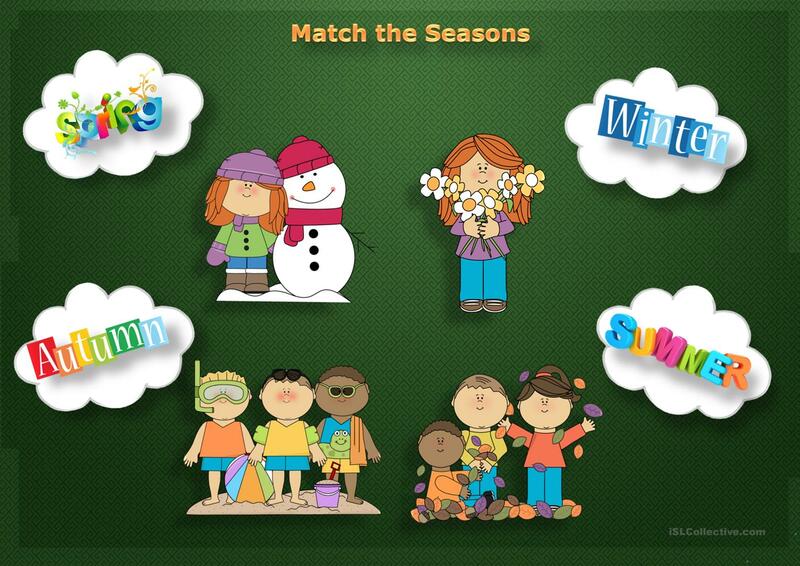 This downloadable teaching material was created for elementary school students and kindergartners and nursery school students at Beginner (pre-A1) and Elementary (A1) level. 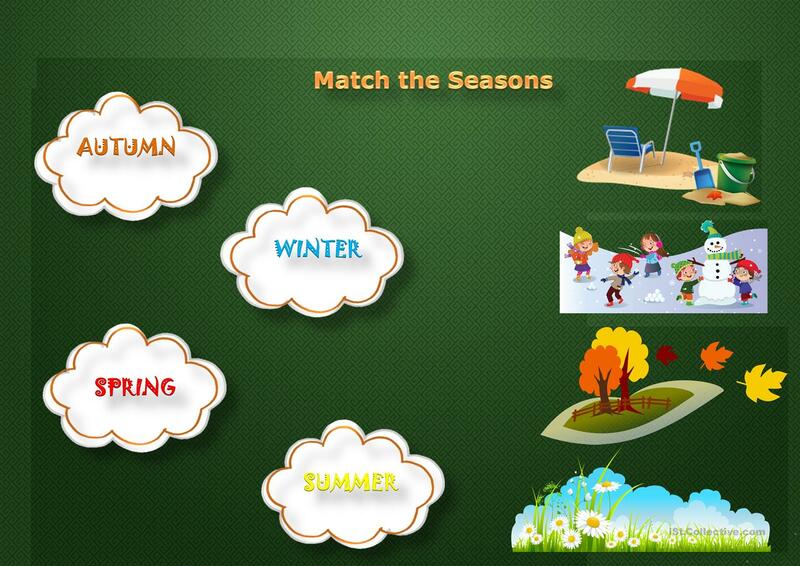 It is great for practising Word classes in English, and is useful for honing your class' Reading and Writing skills. It centers around the vocabulary topic of Seasons.